For my degree at Swansea Institute I wrote a dissertation called Visual Energy: Flyer Design and its Relationship with Acid House. It made a connection between rave flyers and the culture and music of acid house. I was a fanatic raver in the early nineties and I built up quite a collection of rave flyers. Back then flyers were an elaborate affair: psychedelic, multi-colour, bedsheet-sized pamphlets. Basing my graphic design degree dissertation on flyer design was the perfect way for me to dig out my old collection and to write about something I was interested in. As my dissertation wasn’t on David Hockney or William Morris or the other staples of art history essays it meant that there weren’t really any books covering what I wanted to say. This made it difficult in some ways in that I couldn’t verify my theories. But it was great in other ways because I was treading on new ground; I could form my own theories, draw on personal experience and I didn’t have to worry that I might be plagiarising. 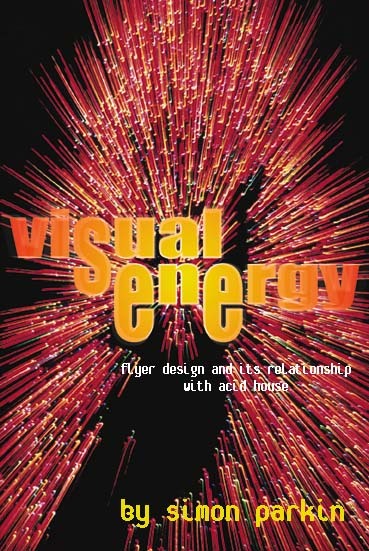 After finishing the dissertation I contacted a rave archive website who agreed to put Visual Energy on one of their pages. Several years on, I’m not sure how well I did with this essay and I know I didn’t argue the case against my theory. But writing it and having it online did lead to my name being credited in Wikipedia on the ‘rave’ page and for the dissertation being published on the Fantazia website (Fantazia being one of the foremost rave promoters of the nineties).